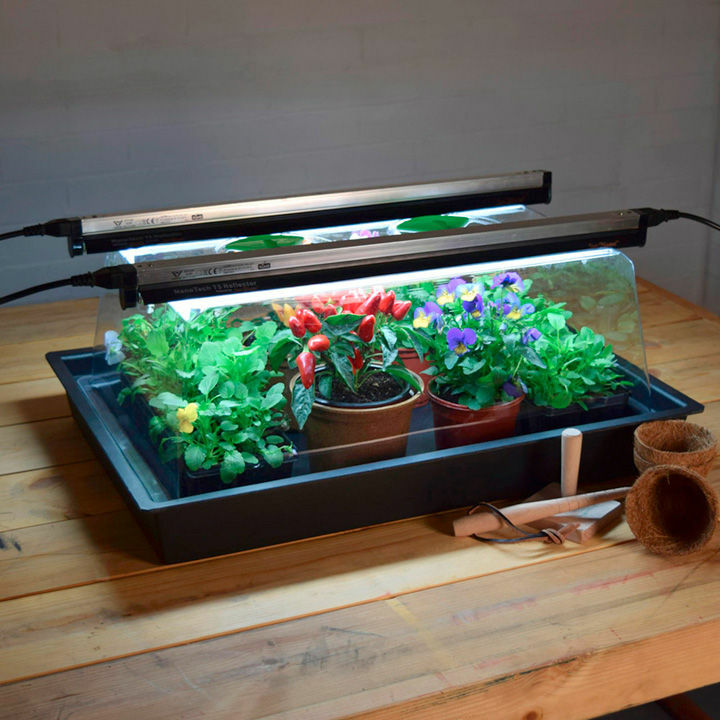 Start your seeds earlier with a professional Geopod Heated Propagator with integrated lights. 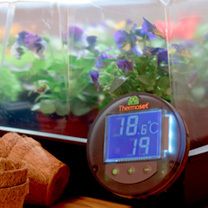 The propagator temperature can be set to any temperature from 5°C to 30°C using the precision control thermostat. 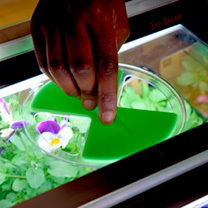 The 2 lights sit in specially designed grooves in the lid, keeping them at the correct distance from the plants and emitting the perfect spectrum of light for healthy growth of seedlings and cuttings. 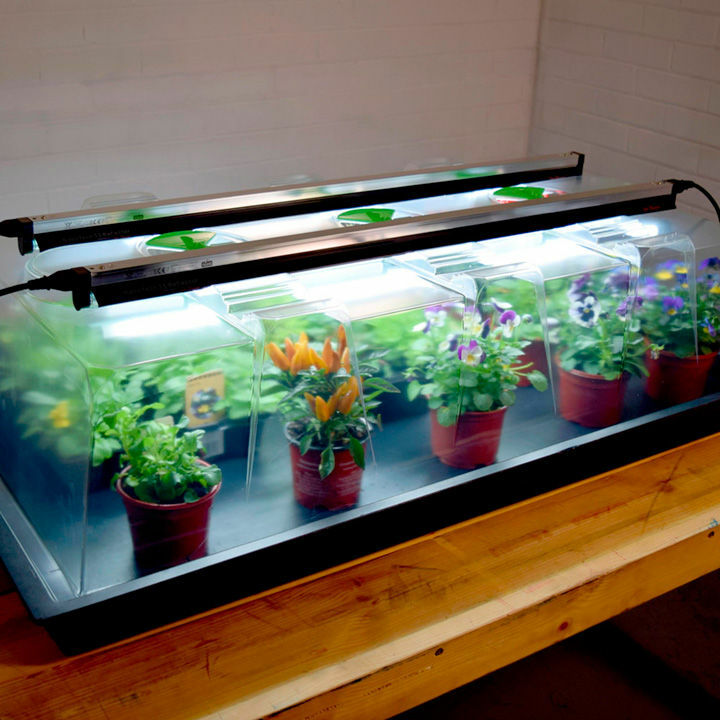 The lights provide high output for low energy use thanks to their nanotech enhanced reflector that reflects 99.9% of previously lost light, increases lumen availability by 300% and diffuses light deeper into the plant leaves. 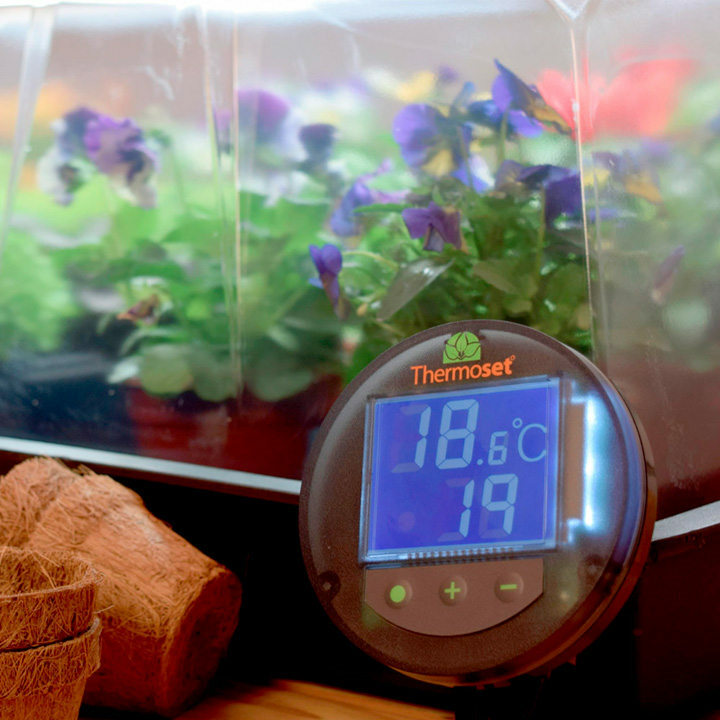 The high dome lid gives seedlings 23cm of height in which to grow, and the large vents allow for superior humidity control so your plants don’t dampen-off. 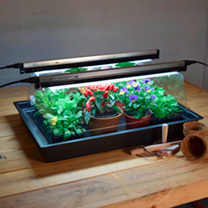 Available in two sizes: Standard - 37 watts. 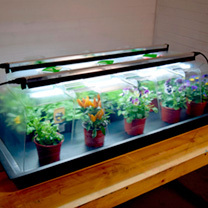 External dimension - Length 62cm (25") x width 43cm (17") x height 28cm (11") & Large - 100 watts. External dimension - Length 112cm (45") x width 63cm (25") x height 29cm (12").